I am delighted to welcome another fabulous book blogger to damppebbles today who is, once again, fairly new to me – the wonderful Sarah Swan of Sarah’s Vignettes. Sarah’s blog is well worth a visit if you haven’t had the pleasure yet. Sarah has kindly agreed to share her three #R3COMM3ND3D2017 reads. #R3COMM3ND3D2017 is where I invite book bloggers and authors to pop over to damppebbles HQ and shout about three favourite books. Any author, any genre – the only thing to tie the books together is that they must have been published last year, in 2017. Simply stunning! A story of love, war, loss, family and betrayal, set in beautiful Cornwall, The Returning Tide tells two interconnecting stories: one of sisters Amelia and Adele, living in Cornwall, during World War II, and, one of Lara, in the present day, living in Cape Cod, Massachusetts, and of her trip to Cornwall to trace her Great-Grandfather’s steps during World War II. It is extremely well-researched and beautifully written. If I had not known otherwise, I would have thought the author was writing from her own life experiences. The depth of feeling in telling this story increases with each turn of the page, so much so, I was in tears by the end of it. It takes a lot for a book to make me cry and this is testament to Liz Fenwick’s sophisticated, elegant, and heartfelt writing style. This is a story that will stay with me for a long time. A super modern day retelling of Jane Austen’s Persuasion! I think it is brave to take such a Classic and make it contemporary. Brigid Coady does this so well, sticking to the main plot points and throwing in some twists and turns which kept me reading. As I got further into Persuading Austen, I forgot that it was based on a classic, and the story took on a new form, gained it’s own identity. Brigid Coady’s writing is super – it is real and from the heart. There is so much humour too! This all allowed for the story to flow really well and I finished the book in 2 days (that’s quick for me!). Persuading Austen made me laugh out loud, cry, empathise, and sympathise. It made me happy. It made me sad. Most of all, Persuading Austen is a book which left me smiling and happy at the end of it – and what a wonderful feeling that was. I absolutely loved this book! The Lost Girl is well-crafted, extensively researched, beautifully written, and full of raw emotion. On Friday 13 November 2015, a series of coordinated terrorist attacks occurred across Paris. Suicide bombers targeted the Stade de France football stadium, and there were other bombs and mass shootings at cafes and restaurants. Over 1000 concert goers were taken hostage at the Bataclan theatre and 89 of them were shot dead. I first heard what had happened when I was scrolling through Twitter and saw lots of tweets with the hashtag #PortesOuvertes, Open Doors, from people offering help of accommodation, transport, food, water, etc. I quickly turned on the news to find out what was going on and watched in horror at poor, innocent, people desperately trying to escape the Bataclan in any way they could and listened to their horrifying screams echoing across a city which was so scarily quiet. In The Lost Girl, Carol Drinkwater writes so vividly about this night and the events surrounding it that you finish the novel feeling as though you have lived through it yourself. She is a great storyteller and writes with such depth and rich description that I became completely immersed in the story from the opening paragraph and forgot about the real world away from the book. Fantastic recommendations, thank you so much for joining me today Sarah. I’ve added ‘The Lost Girl’ to my wishlist. Not a book I would normally consider (and it feels quite a way outside of my comfort zone) but the way you describe the story has me intrigued. I want to read this book following your mini-review. Hello, I’m Sarah. I adore books and I am a keen photographer. I have been reading books from a very early age and before I could read, I was always flicking through picture books – I’m sure I was born with a book in my hand! I read a wide range of genres and I am willing to try most genres once, but I do keep going back to both contemporary and historical fiction more than anything else. Books are a big part of my life and I started my blog, Sarah’s Vignettes, so I could share my love for them. From an early age, I have loved taking photographs and with the advent of social media, I love sharing them with family and friends. In early 2016, I was having a conversation with a dear friend about a recent day trip and the photographs I had taken, during which she said I should share my photographs wider and write about the stories behind them. So from time to time, I post on my blog about general experiences in my life, which will be based around my own personal photographs. You will also find that most of the pictures of books on my blog are taken by me. My thanks to Sarah for joining me today. 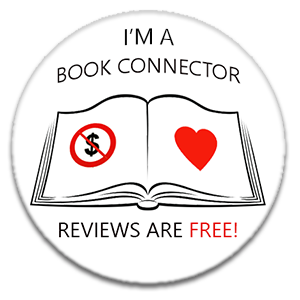 Make sure you stop by tomorrow when I welcome Emma Poulloura of Star Crossed Reviews to damppebbles with her #R3COMM3ND3D2017 reads. Great choices from a lovely blogger! The Lost Girl is going on my wish list too. I love Liz Fenwick’s style of writing, although I have yet to read the book you feature, but I will ! !